People walking or driving by Altius Farms have picked up their phone to call and ask about the greenhouse at 25th and Lawrence. The glass-enclosed structure houses an urban farm that is using advanced technology to change the way we think about growing food. DENVER -- People walking or driving by Altius Farms have picked up their phone to call and ask about the greenhouse at 25th and Lawrence. The glass-enclosed structure houses an urban farm that is using advanced technology to change the way we think about growing food. 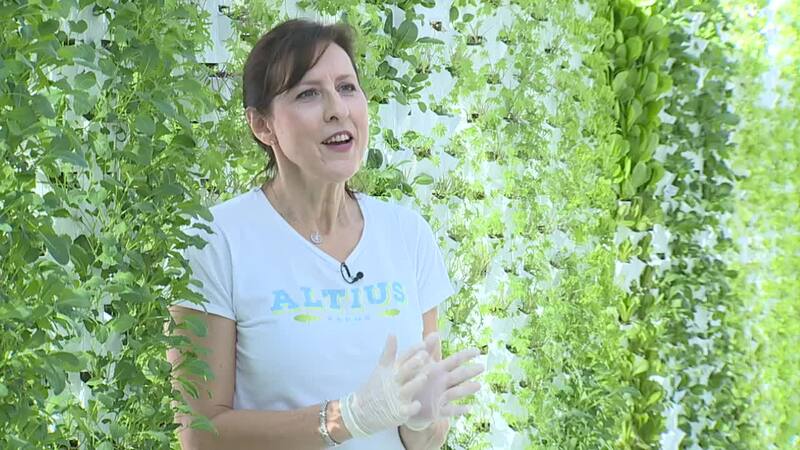 "This is our mission, is to bring urban farming back into our communities," said Altius Farms Founder and CEO Sally Herbert. The farm is already supplying about 20 local restaurants and Marczyk's Fine Foods with fresh produce. Herbert hopes to introduce a community-supported agriculture (CSA) program where people will be able to buy directly from the farm. "People can know their farmer. These restaurateurs and their customers will understand where their food is coming from every day," said Herbert. Herbert gave Denver7 a tour of the facility, starting with the steps everyone has to take to in order to enter the greenhouse's controlled environment. She started by rinsing her shoes, washing her hands and putting on gloves. Then she explained the control panels that essentially run the 8,000 square-foot building. "It really does most of the work for us – everything from nutrients to the plants to CO2 production," said Herbert. Sensors on the inside and outside of the greenhouse check the environment every 90 seconds. If the temperature or humidity is off, adjustments are made automatically. Panels on the side of the building open and close to let cool air in. The greenhouse almost feels like it's breathing when the roof opens to let warm air out. The plants seem to be thriving in the environment. Twenty-eight different varieties are currently growing inside, including herbs, a variety of lettuces and edible flowers. 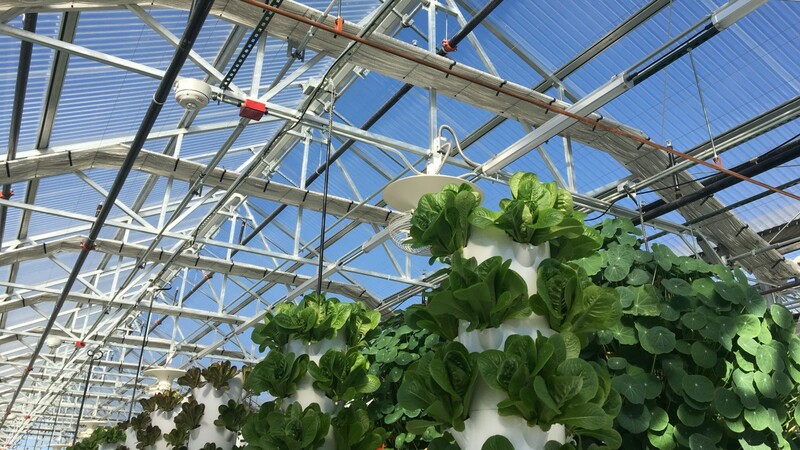 The vertical towers give them the ability to maximize the space, allowing them to produce 10 times as much as conventional farming while using only 10 percent of the water. The seedlings get their start with supplemental light but the rest of the greenhouse utilizes Colorado's natural sunlight. As Herbert walks around, she samples some fresh arugula and parsley. She's fairly new to the agriculture business and got her start after a career in corporate America. She served on the board of an organization called Veterans to Farmers, where the idea to start her own farm was born. Herbert is also a veteran and is now hiring vets to help grow the business. “I can’t say enough about this team. This team makes it happen," said Herbert.